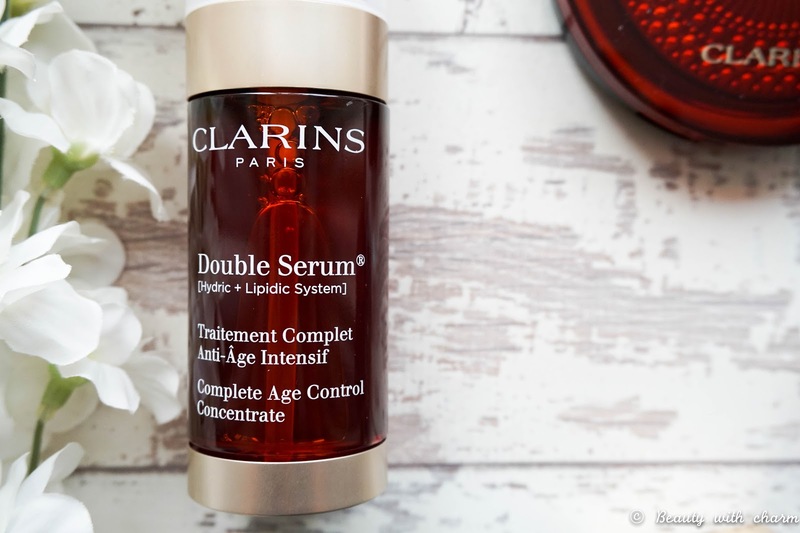 First up I'll get the one skincare bit out of the way, which is the Clarins Double Serum for anti-ageing. I've actually not used this yet because I am saving it for the winter months & also trying to be good by finishing the skincare products I've got going on at the minute. From the ingredients list & what I've read in other reviews, it sounds like an amazing product & I look forward to including it in my upcoming skincare routine. This is not limited to the summer collection and can be bought all year round, in fact it's one of their best selling products with an array of awards attached. I'd love to hear your thoughts on this if any of you have tried it? 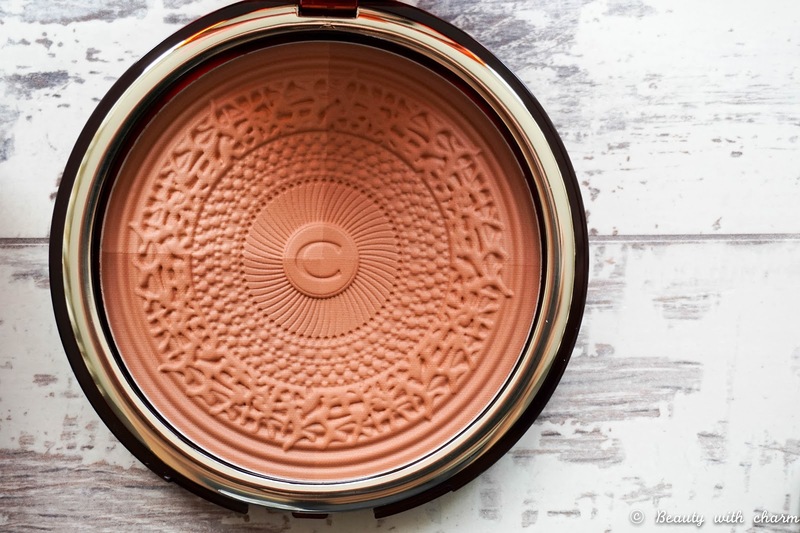 Next up is a true summer favourite & an absolute beauty, of course I talking about the Clarins Bronzing Compact. This is the perfect shade to instantly add a sun kissed glow to the skin as it actually helps to make you look like you've been away on holibops aka a sun holiday, when I fact you haven't (or I haven't I should say, yes I am playing the worlds tiniest violin). It's completely matte which I love because when you're trying to bronze up the skin in a natural way, shimmer can just be too much. What I love most is just how gorgeous it looks with 4 different bronzing shades not to mention that it's huge, so I really do see this lasting me a lifetime. The texture is really soft & silky, so it applies beautifully on the skin. A total winner for me and it's one of the products from the collection that isn't completely sold out yet. Next up are my favourite makeup products so far because just look at the shades, absolutely stunning. 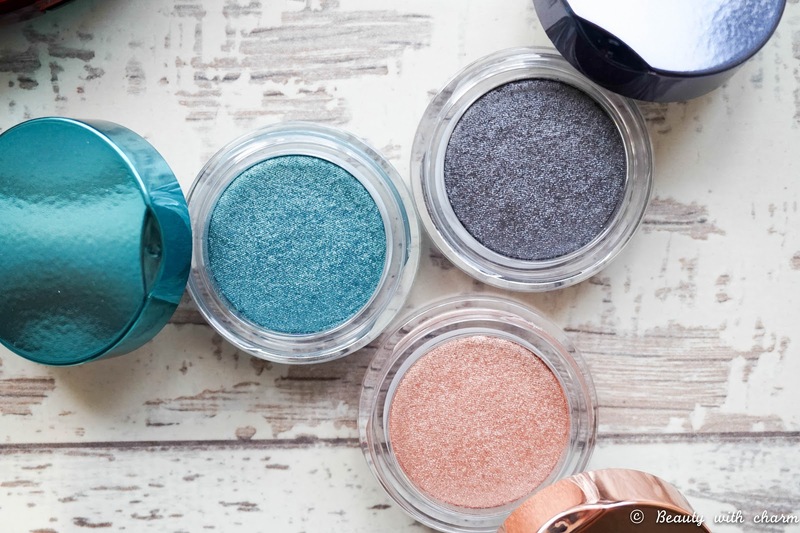 I'm talking about the Ombré Iridescent Eyeshadow Pots in Aquatic Rose, Green & Granit (all sold out I'm afraid so yes I'm being a total tease presenting them to you). Aquatic Rose is probably my most used because it's the perfect everyday kind of shade which you can quickly apply all over the lid & instantly look awake, but I've also loved experimenting with the other two shades that are a little bit more daring. What I love most about these products though is the formula, it's completely different to anything I already own. The texture is not exactly creamy but not full on powder either, totally innovative & it lasts all day on my lids without primer, so really what's not to love. 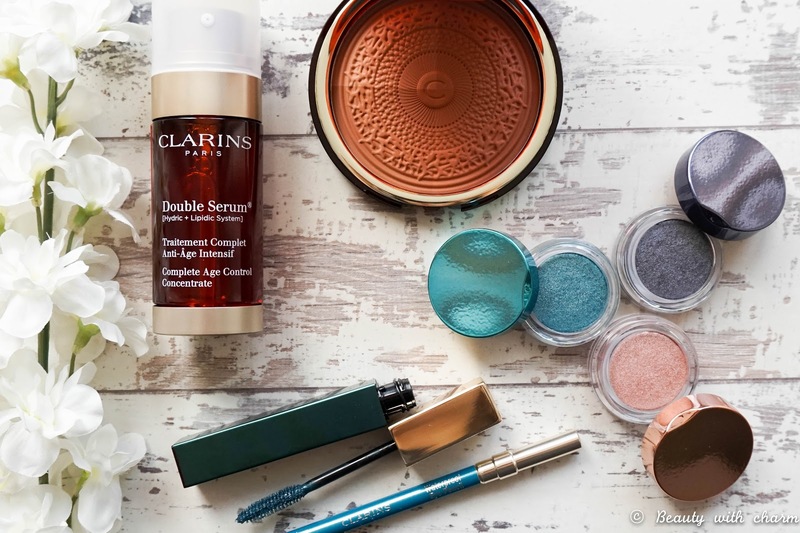 Even though these particular shades are sold out, Clarins still have many other shade options to choose from, especially with their a/w collection. 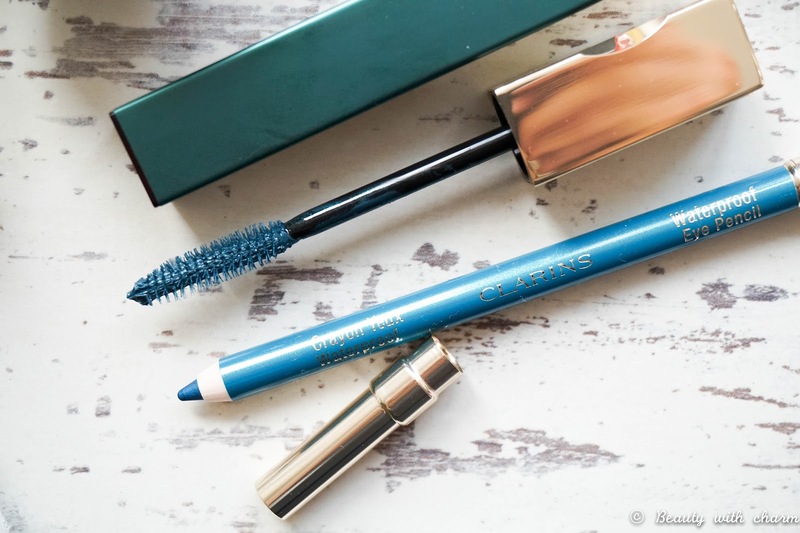 Next up is their Truly Waterproof Mascara in the stunning Aquatic Green shade (up another sell out) which pairs up beautifully with my brown eyes. I actually really like how voluminous it makes my lashes look plus it gives added length also, but I'm not exactly a huge fan of the waterproof formula. I use Micellar Water to remove my makeup off & it can be a struggle making sure every last trace has been removed, which is why I generally stick to the regular versions. Lastly is my least favourite product from the bunch & not because Clarins have done anything wrong, but because I'm not a fan of pencil eyeliners. This is of course the Waterproof Eye Liner Pencil in Aquatic Green. The shade is once again stunning but this kind of product in not one that I reach for on a regular basis. The pencil is creamy & pigmented which is what you would want from a pencil eyeliner, so the quality is amazing but I much prefer liquid eyeliners. It's just a matter of personal preference here. 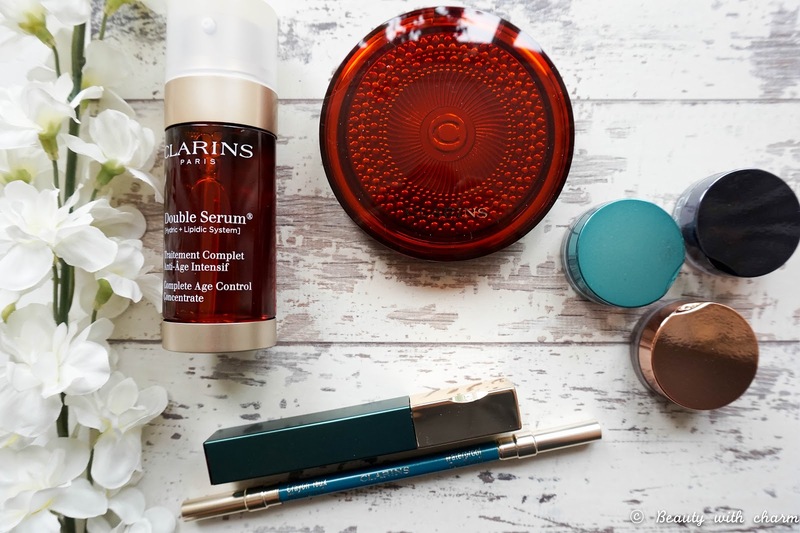 I couldn't be happier with this summer collection from Clarins (even if summer is close to an end) & I'm really glad to have finally got the chance to try out the brand after all this time. There's so many beautiful products I've got my eye on now & I can't wait to experiment with the brand further in the future. I'd love to know if you've tried this particular collection before? If not let me know your personal favourite Clarins beauty products?